By Matthew Fusan, director of customer experience, SA Ignite. Although the Quality Payment Program (QPP) has been in effect for a year, there continues to be a lot of change in the program as CMS continues to evolve. The new year creates an ideal time to reflect back on what changes we have experienced to date as well as look forward and examine what could happen in 2018 and beyond. In 2017, CMS ramped up promotion and education for the QPP. Although these efforts have been more aggressive than previous programs, industry studies like the 5th Annual Health IT Industry Outlook Survey and the KPMG-AMA Survey show that clinicians are struggling to understand the program and what they need to do to be successful. In fact, many expect their employer to provide the information and solutions to manage and are not seeking to proactively educate themselves on requirements and improvement strategies. While clinicians continue to experience confusion, the Department of Health and Human Services (HHS) has not done much to help clarify. CMS Administrator Seema Verma has continued to support the move away from fee-for-service and toward fee-for-value, but has also cancelled two mandatory bundled payment models – the Episode Payment Models and the Cardiac Rehabilitation Incentive Payment Model – and has also removed the mandatory requirement for the Comprehensive Care for Joint Replacement Model. Although some bundled payment programs have been cut/reduced, the Centers for Medicare and Medicaid Innovation (CMMI) has put out a request for information (RFI) to gather input on patient-centered care and test market-driven reforms. The intent of the initiative is to empower beneficiaries as consumers, provide price transparency, and increase choices and competition. The RFI demonstrates that all models/programs will be watched closely and are subject to change. While some programs are being cut/reduced, there is still pressure on CMS to accelerate new Advanced Alternative Payment Models (APMs) so they are exploring options during 2018. The first option is to allow clinicians to use Medicare Advantage plans to meet the criteria for an Advanced APM. Even though this may require a change to the MACRA legislation, CMS has a demonstration project in the 2018 final rule to explore this option. Another option is the second iteration of the Bundled Payments for Care Improvement (BCPI) program, Advanced BCPI. The risk levels for other Advanced APM options may appear to be too high for physician practices so this option may have wider appeal to physician groups. Other models under consideration include Direct Primary Care, which is based on a non-insurance model, as well as collaborations with private payers. While these models are all under consideration/in development, it will be interesting to see if the CMMI RFI will drive additional choice or will the changes proposed consume CMMI for 2018 and reduce the capacity to introduce new models. Either way, CMMI will look very different in 2018 and beyond. The weighting of the MIPS categories is re-balanced so the Cost category becomes 30 percent of the total MIPS score. While organizations have struggled with optimizing cost for years with limited results, this increase in the Cost category means that 2019 will drive organizations to look closely at cost and create a strategy for measurable improvement. The performance threshold that determines who receives an incentive versus a penalty will increase to the mean/or median of participants’ scores. In the 2018 final rule, CMS estimated that almost 75 percent of clinicians will earn a score greater than 70 points for 2018 so competition going into 2019 will be fierce, with healthcare organizations pitted against each other to earn high scores and financial incentives. Guest post by Tom S. Lee, Ph.D., CEO and founder, SA Ignite. Those making the long trek to and through the annual, arduous health IT connection-fest known as HIMSS are undeniable siblings-in-arms. Each has their own list of “must learns” by which they measure the return on the foot blisters and hurried lunches. This year, I brought my particular list of themes to track. Although the odds are great that I missed relevant crevices of the show, I believe I gathered a decent quorum of items to share here. You be the judge. The HHS, ONC and CMS brain trust spoke to packed rooms in an illuminating 24-hour span, which crossed multiple themes on my list. On the regulatory front, HHS Secretary Burwell, National Coordinator for HIT DeSalvo, and CMS Acting Administrator Slavitt, all made direct or indirect mention of the MACRA legislation and its constituent parts, the Merit-based Incentive Payment System (MIPS) and alternative payment models (APMs; e.g. Medicare accountable care organizations). MIPS and APMs together redefine how $250 billion per year in Medicare Part B payments will be paid to physicians in value-based, rather than fee-for-service-based, manners. 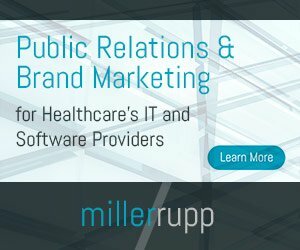 The hub-bub around MIPS, in particular, stems from the fact that it can reward high-performing providers with incentives up to and even beyond 27 percent of Part B payments and penalize low-performing providers up to 9 percent, while also reporting their MIPS performance scores to consumers. Although CMS was unable to confirm or deny many aspects of the CY2017 MIPS rule currently being drafted, I heard strong clues from CMS and its contractors confirming a Jan. 1, 2017, start of the first MIPS performance year. In addition, CMS officials publicly stated across multiple sessions that the draft CY2017 MIPS rule would be released “within a few months,” “in the spring,” and perhaps as soon as April. Over the last nine months, it wasn’t clear how Medicare’s Chronic Care Management (CCM) program was playing out in the field. CCM rewards primary care providers with a monthly per patient fee for delivering a set of high-quality, chronic care services to patients both within and outside the clinic. The dollars netted by a practice can be substantial, even eclipsing the incentives earned from complying with meaningful use over the last several years. However, the front-office and back-office tasks needed to support a successful CCM program can be substantial. Whereas after walking 80 percent of the main exhibit hall floor I saw no CCM vendors, I saw in the first-time-exhibitor hall several companies out of ~40 exhibiting focused exclusively on offering outsourced CCM program delivery services. Maybe the CCM model and market are starting to take root. The Value-Based Payment Modifier (VBM) is one of the most impactful yet least understood components of the portfolio of value-based programs under Medicare Part B. Provider organizations widely know that their Physician Quality Reporting System (PQRS) quality measures must be reported to CMS in order to avoid significant VBM penalties. Yet, few organizations understand the value-based payment modifier rules well enough to know how to improve their value-based payment modifier quality and cost scores, which directly impact Part B reimbursement. And, the stakes are high as the 2015 VBM can have a +/-4 percent or greater impact on Part B, and starting in 2017, value-based payment modifier comprises 60 percent of the reimbursement impact of the newly-passed Merit-Based Incentive Payment System (MIPS). MIPS rolls up value-based payment modifier, meaningful use and other value-based programs into a single score for each provider that can impact Part B reimbursement up to approximately 30 percent based upon cost and quality performance relative to peers. One way to understand the growing importance of VBM is to compare the rules and metrics of the 2013 program to those of CMS’ proposed 2016 program. The rise is stunning and reminiscent of the rapid expansion of other game-changing programs, such as meaningful use, but where the financial and reputational impacts are even greater. VBM penalizes providers falling into the lowest tier of quality performance among peers nationally, as determined by PQRS and other quality measures. In 2013, approximately 30,000 providers were subject to value-based payment modifier quality-performance penalties. In 2016, CMS projections and proposals taken together indicate that 1.25 million providers will be subject to such value-based payment modifier penalties, representing a 40-fold increase in the span of 4 years. Why the growth? It’s all about regulatory change. In 2013, this quality-performance penalty only applied to groups with more than 100 providers, which opted into quality tiering, and it excluded organizations in the Medicare Shared Savings Program (MSSP), Pioneer ACO Model, or the Comprehensive Primary Care Initiative (CPCI). Furthermore, penalties were only applicable to Part B payments to physicians (MD, DO), not payments to non-physician providers (nurse practitioners, physician assistants, etc.) In 2015, CMS cast the net wider by expanding quality-performance penalties to apply to all groups down to only 10 providers in size and including participants in MSSP ACOs, Pioneer ACO Model and CPCI. For 2016, CMS is proposing that the size threshold be removed entirely such that all groups and solo physicians be subject to quality-performance penalties and that the penalties should be applied to Part B payments to non-physicians as well, not just physicians. The sizes of the maximum incentives and penalties in 2013 were 9.8 percent and -1.0 percent, respectively. The national incentive pool is set to be equal to the national penalties assessed in order to keep value-based payment modifier as an overall budget-neutral program. Hence, the “winners take from the losers,” where “losers” also include those providers who simply did not meet the minimum PQRS reporting requirement imposed by value-based payment modifier. This non-reporting percentage was about 30 percent of eligible providers in 2013, and CMS projects about the same percentage for the 2016 performance year. Hence, assuming that the proportion between winners and losers remains about the same in 2016 as compared to 2013 (about 13 percent), and factoring in the proposed 2016 value-based payment modifier rules, the maximum value-based payment modifier performance-based incentive could rise to as high as 20 percent, while the maximum penalty would be -4 percent, respectively representing 2 times and 4 times increases from 2013. As mentioned above, MIPS further increases the potential financial impact to 30 percent or even more of Part B payments.